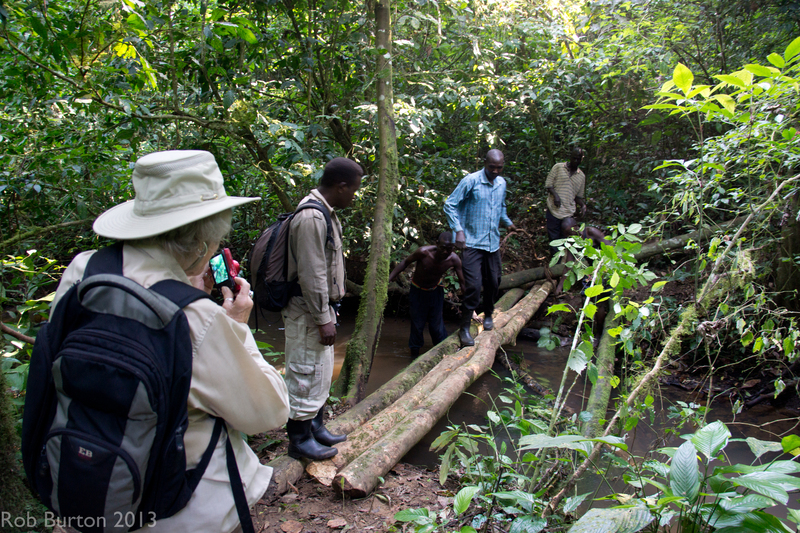 Organised by Earthwatch this research expedition was in the north-west of Uganda and the base camp was in Bodongo Forest Reserve not far from Masindi. 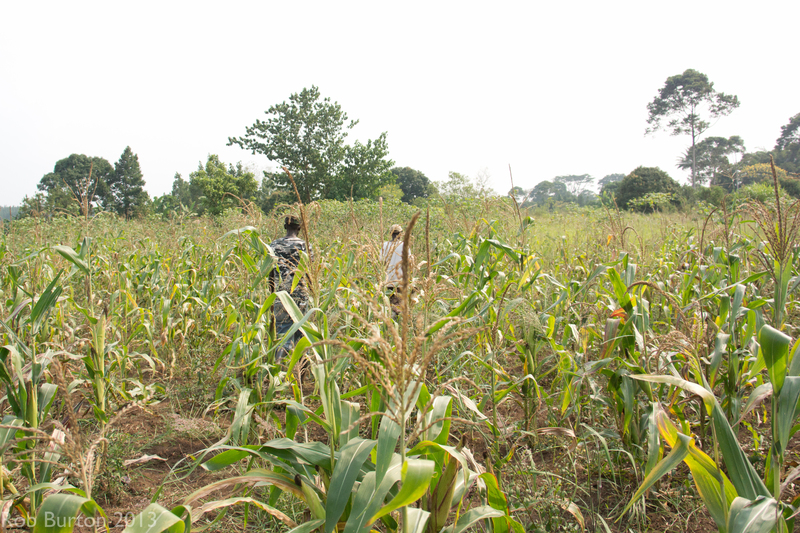 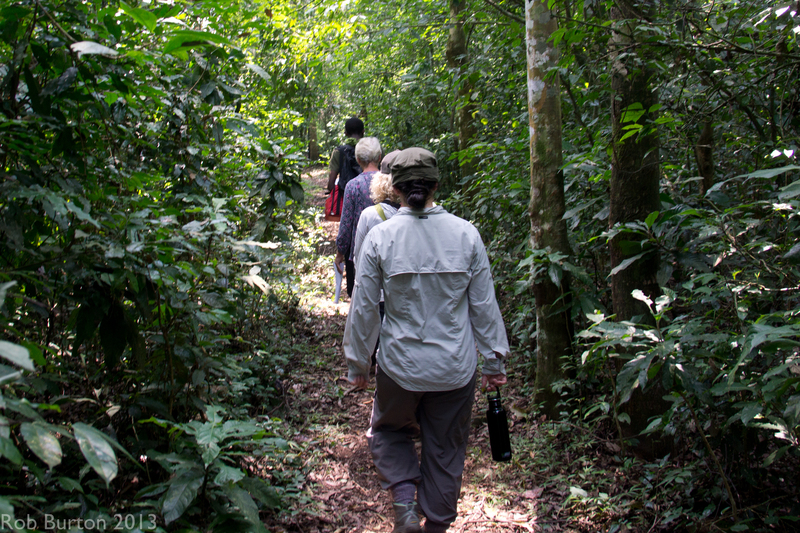 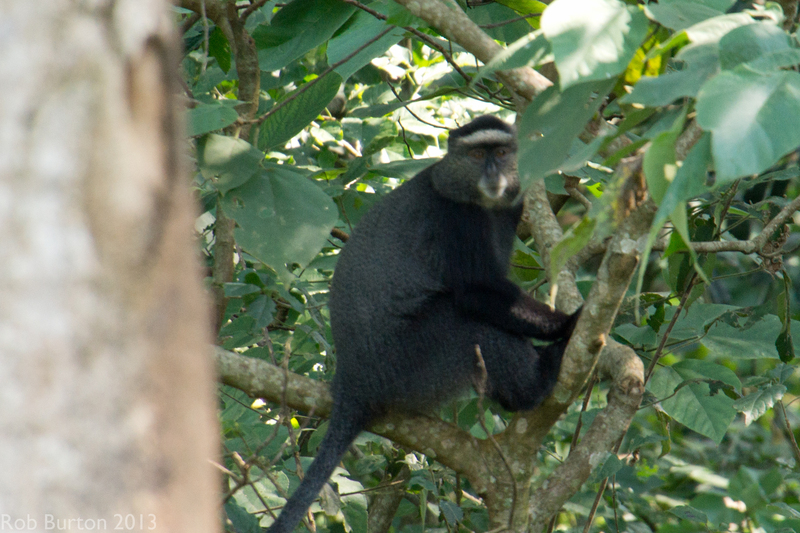 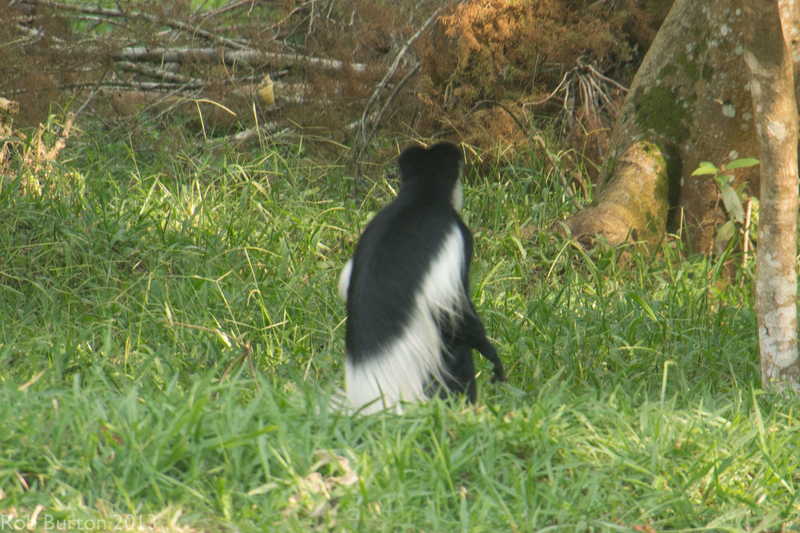 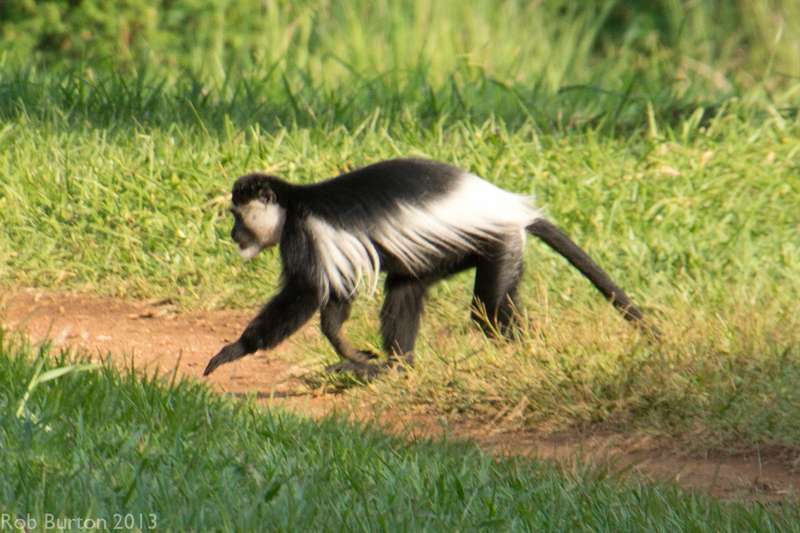 The reserve covers 170 square miles, the largest tract of forest in Uganda. 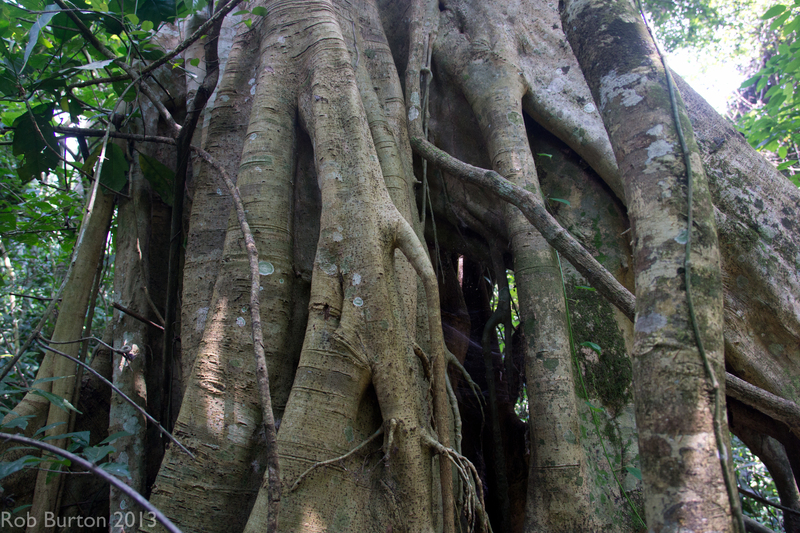 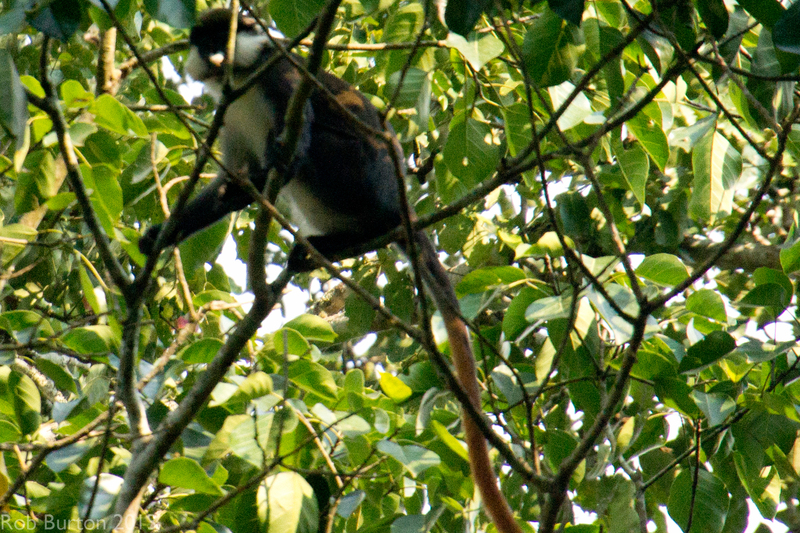 It is home to many plant and animal species. 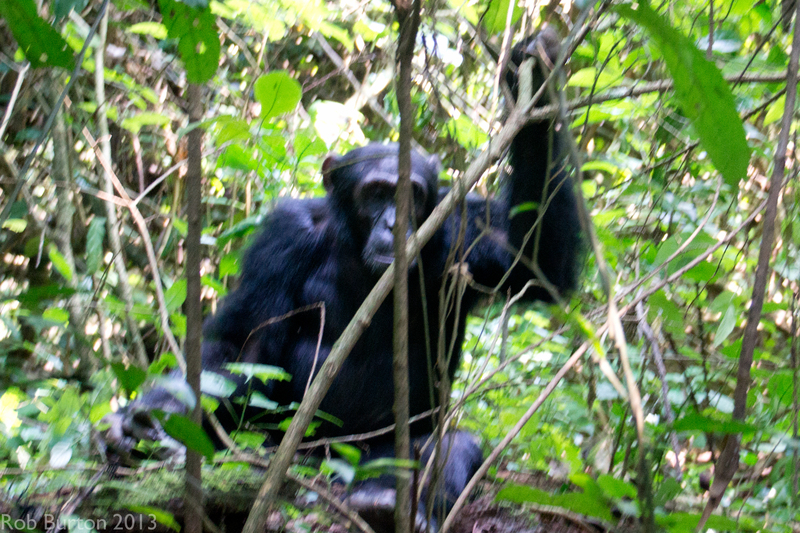 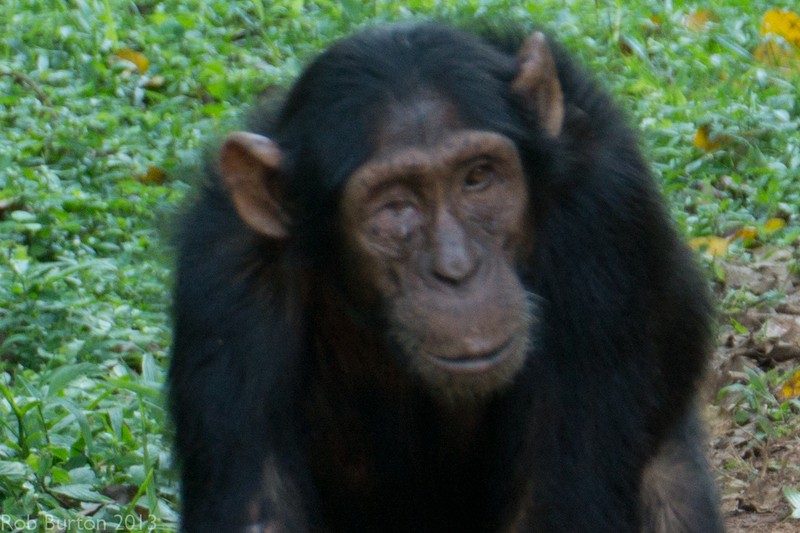 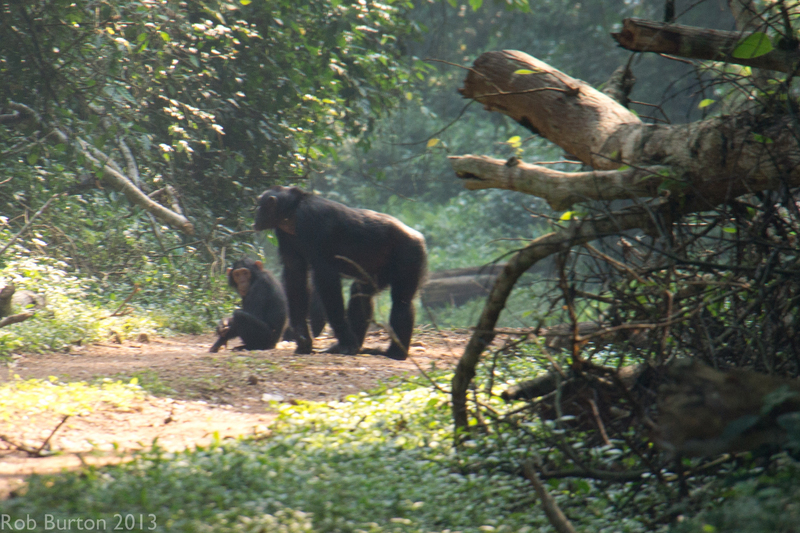 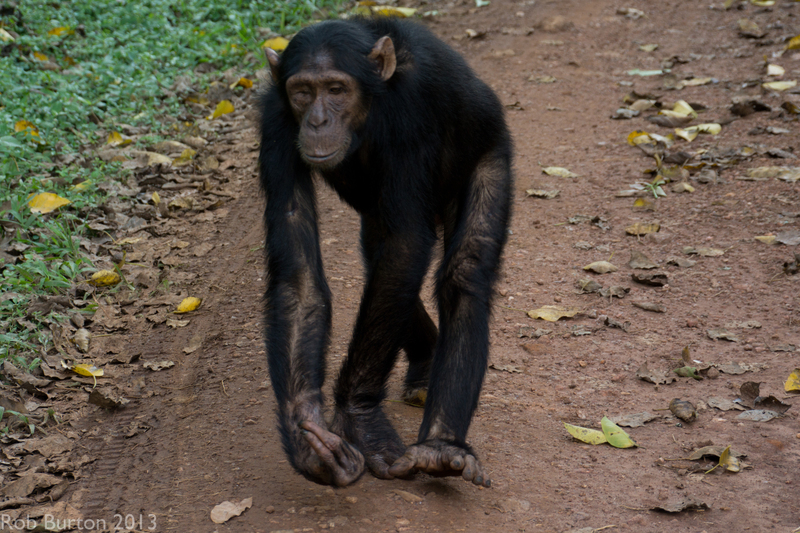 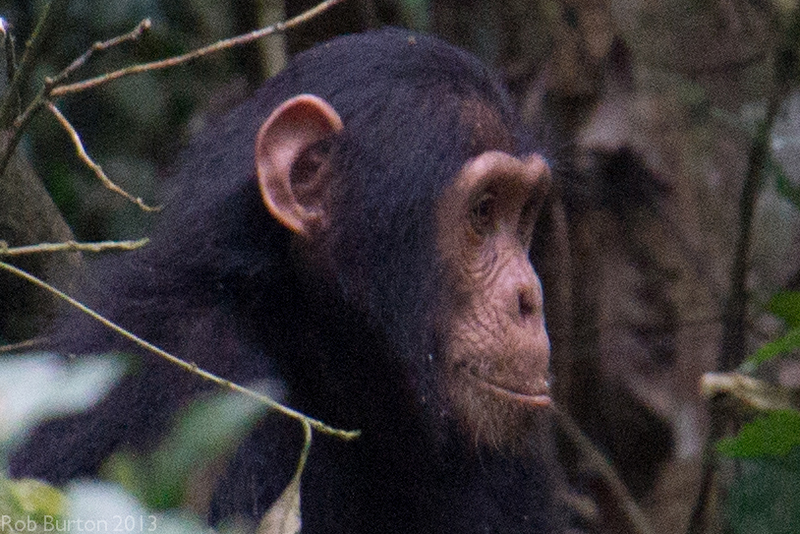 The Chimpanzees (Pan troglodytes), the forests largest inhabitants, make up a large proportion of the mammal population. 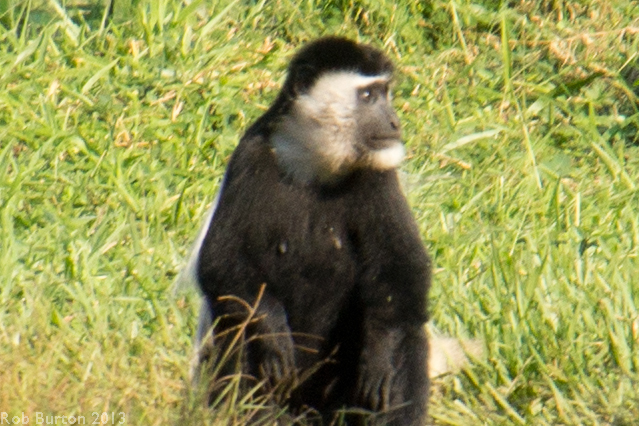 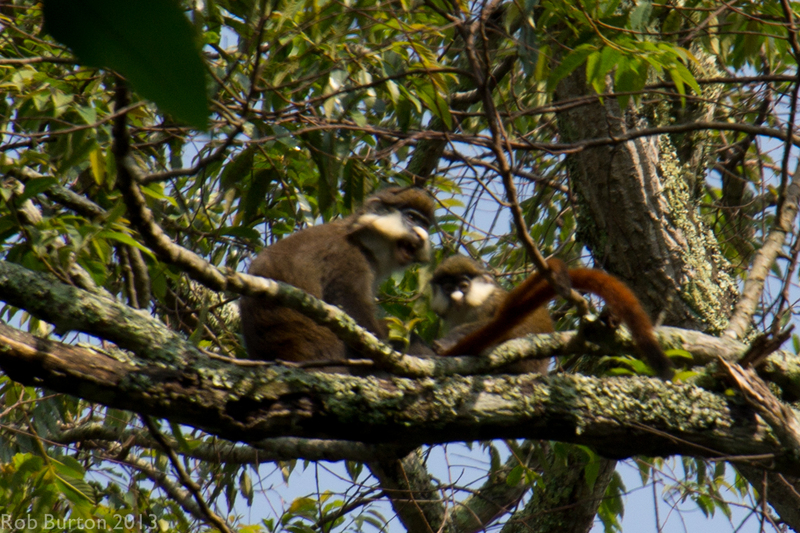 The other main primate species being Olive Baboons (Papio anubis), Mantled Colobus monkeys (Colobus guereza), Blue monkeys (Cercopithecus mitis) and Red-tailed monkeys (Cercopithecus ascanius). 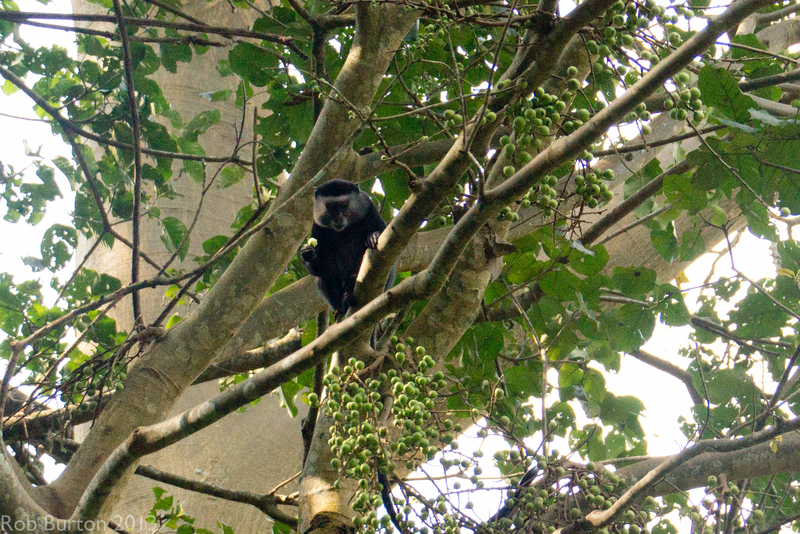 I enjoyed trying to identify some of the bird species with difficulty as all but the Hornbills were past masters at hiding in the canopy or dense forest at ground level. 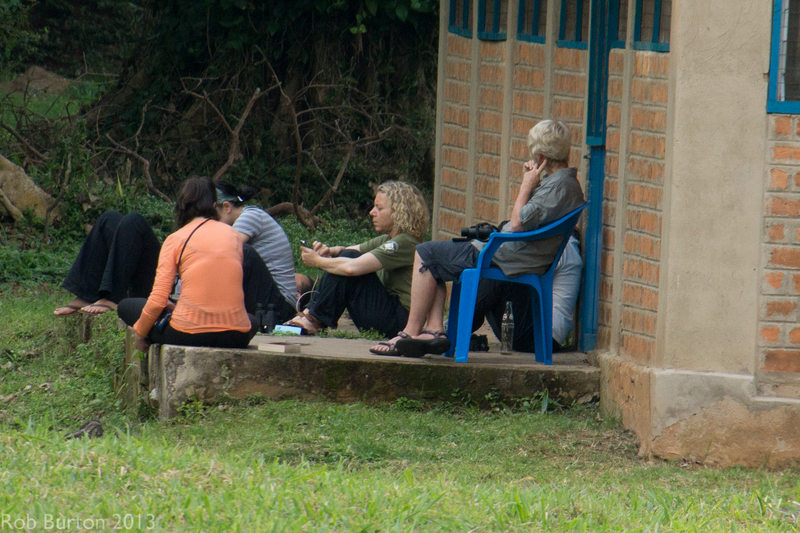 Activities during our stay with photos (some poor due to poor light or taken in a storm) follow but to go straight to wildlife photos please click here. 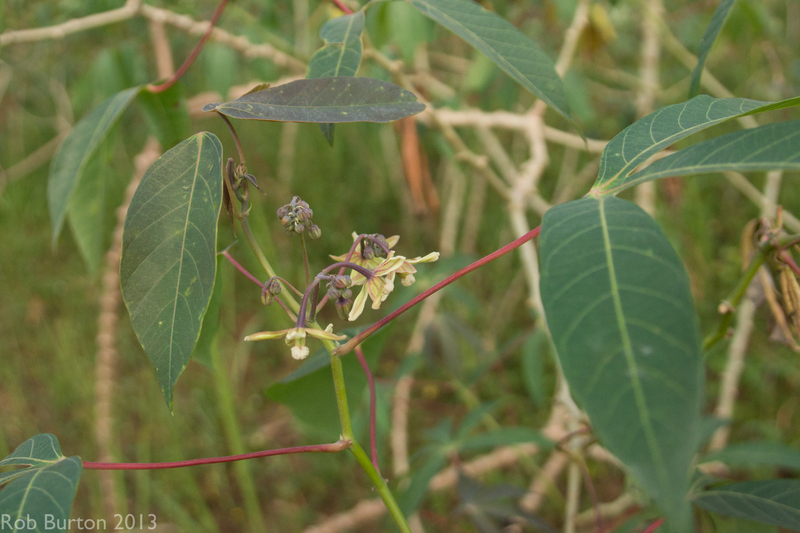 Our first task was to collect Phenology data. 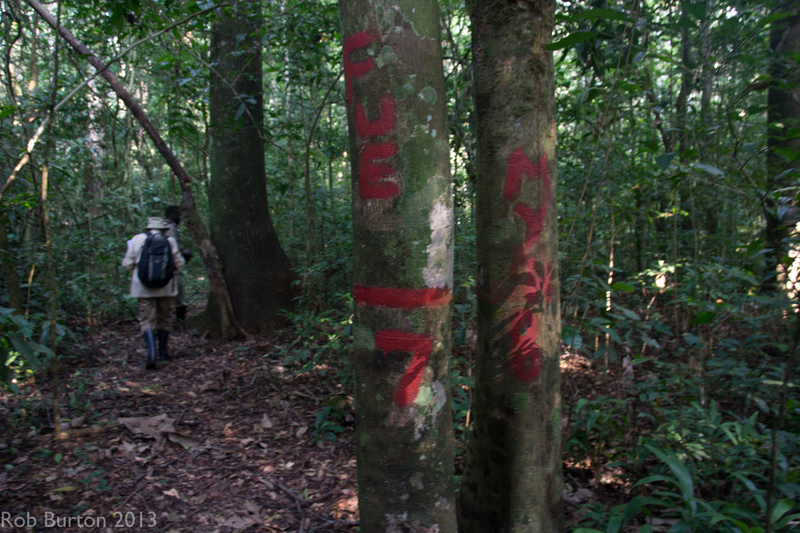 At 100m gaps along pathways we recorded data on all the trees in a 7 metre radius recording the species and foliage details. 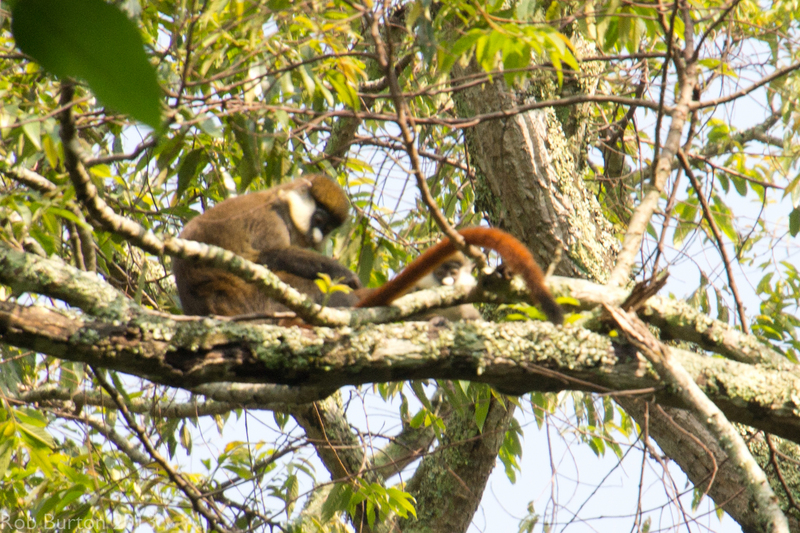 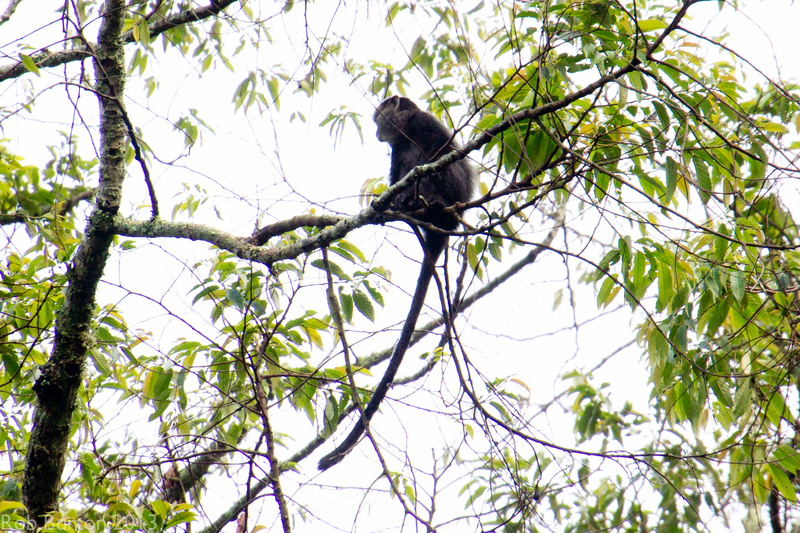 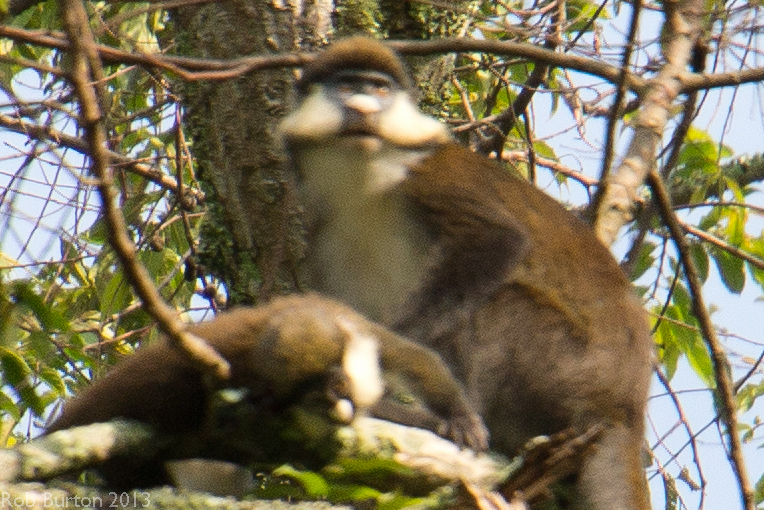 Another day we followed the several species of monkey recording every 5 minutes such data as feeding habits, grooming, resting or moving. 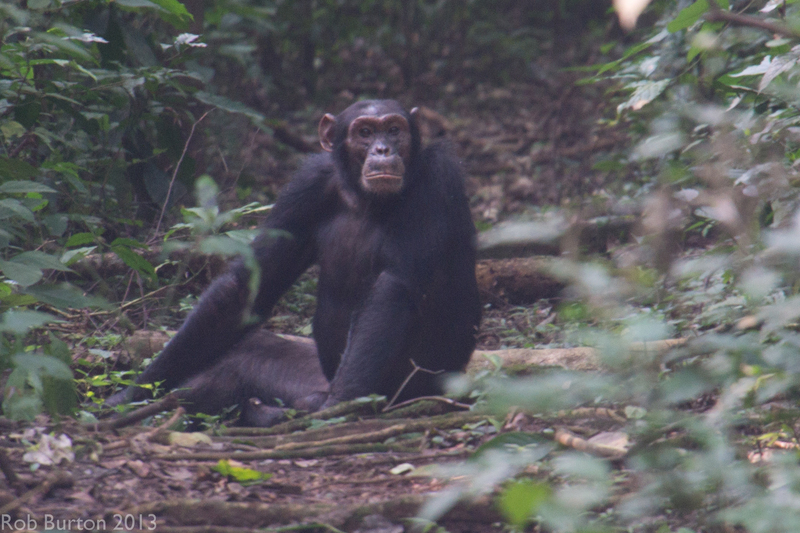 On other days we tracked the Chimps through the forest recording data of the activities of one individual - that is if we could fight our way through the undergrowth quickly enough! 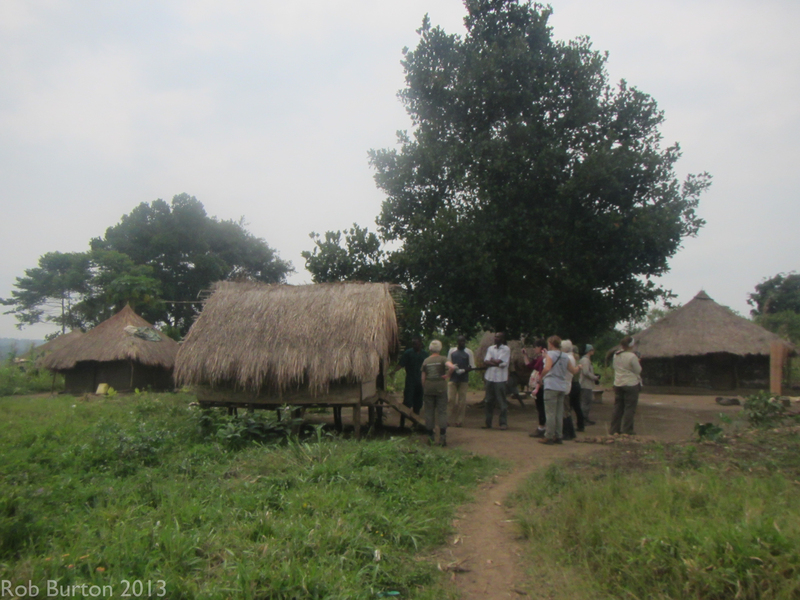 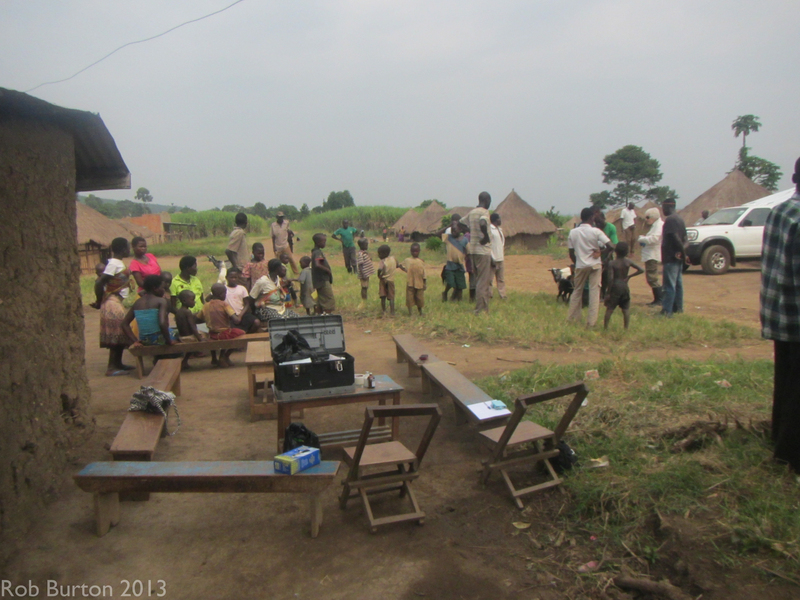 Another day we visited farmers on the fringe of the forest to gain knowledge of the 'human/animal conflict'. 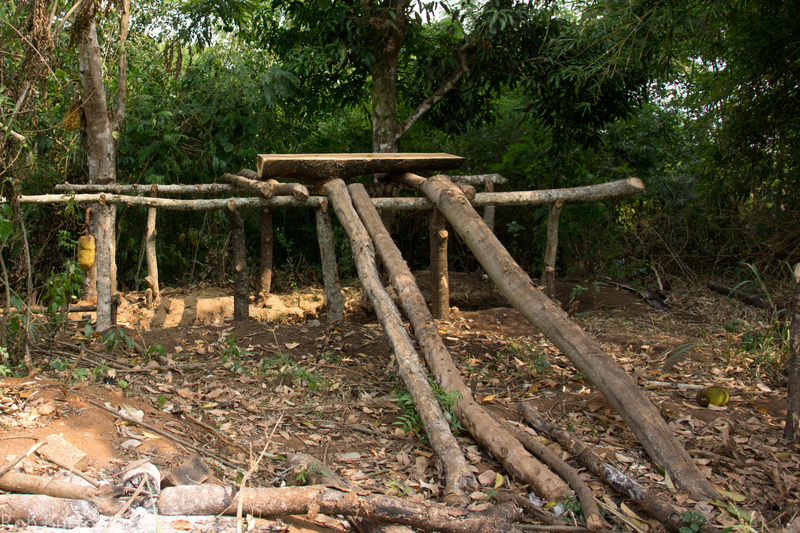 To try to prevent poaching of wild animals a programme has been established to provide ex hunters with goats to provide food and income instead of hunting. 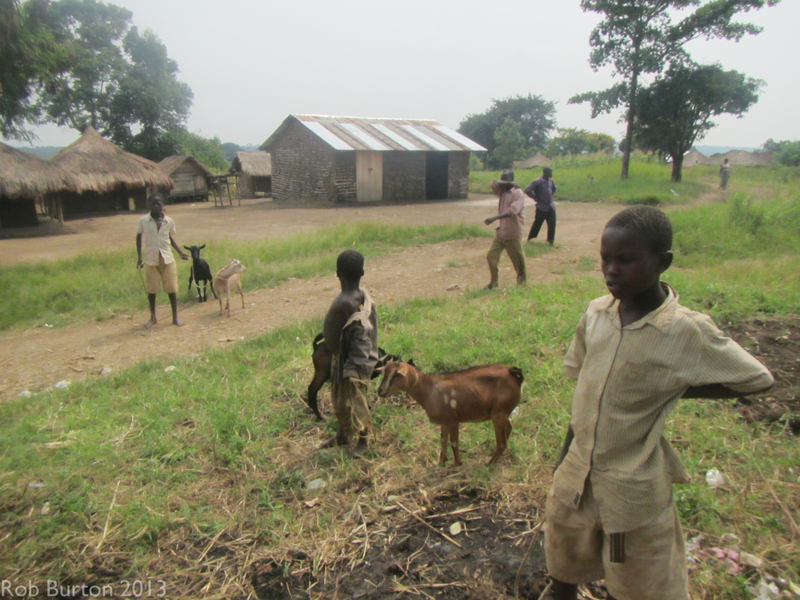 One morning we visited a village to assist in the worming of these goats and of any other villager's animals. 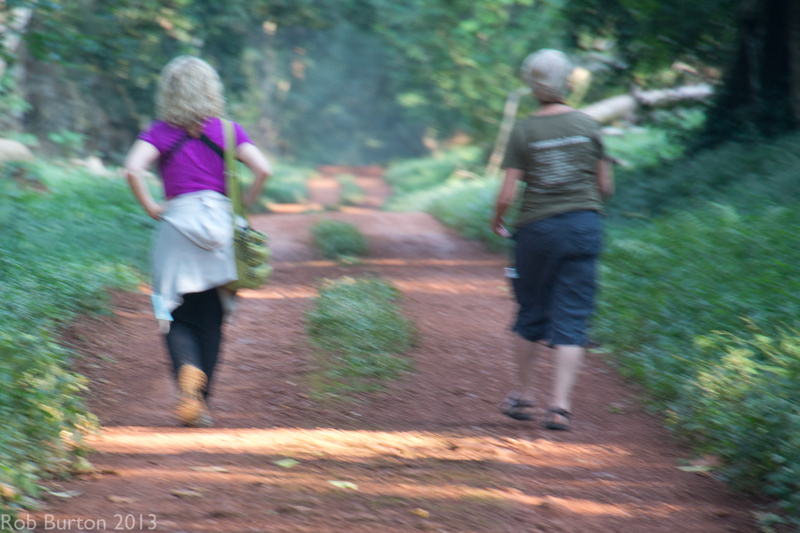 Towards the end of our visit we helped set up a phenology programme in another part of the forest. 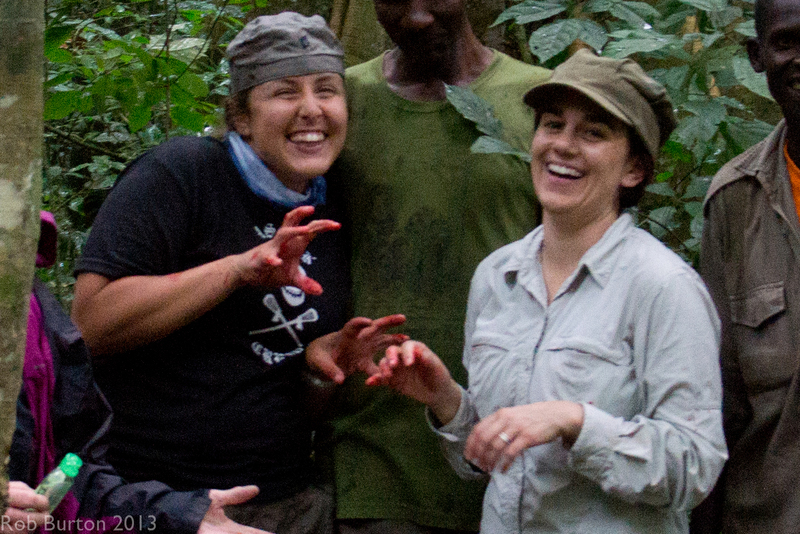 Some of the group were able to enjoy themselves getting their hands covered in red paint! 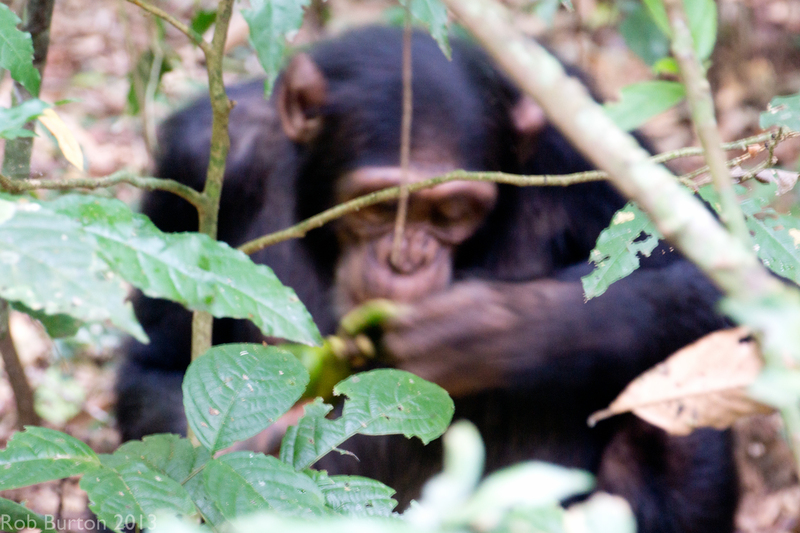 In our free time some of the group regularly walked along the 'Royal Mile' to search for other wildlife and often came across the Chimps and other 'objects'! 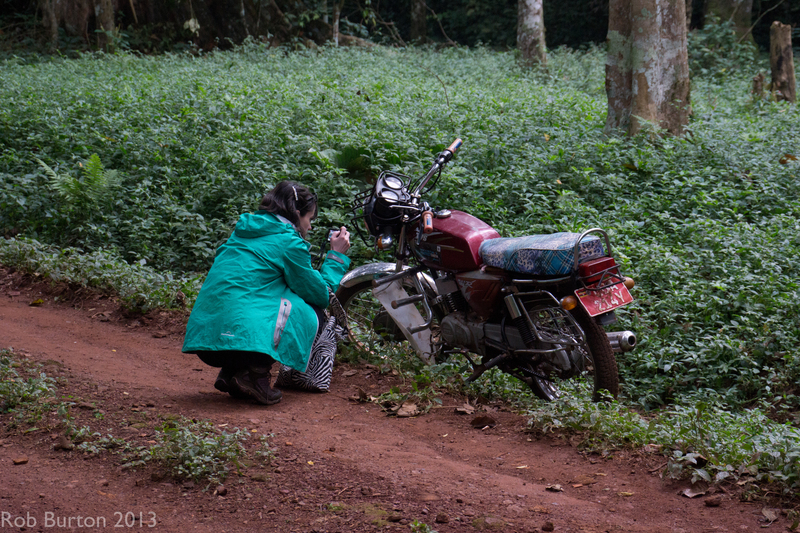 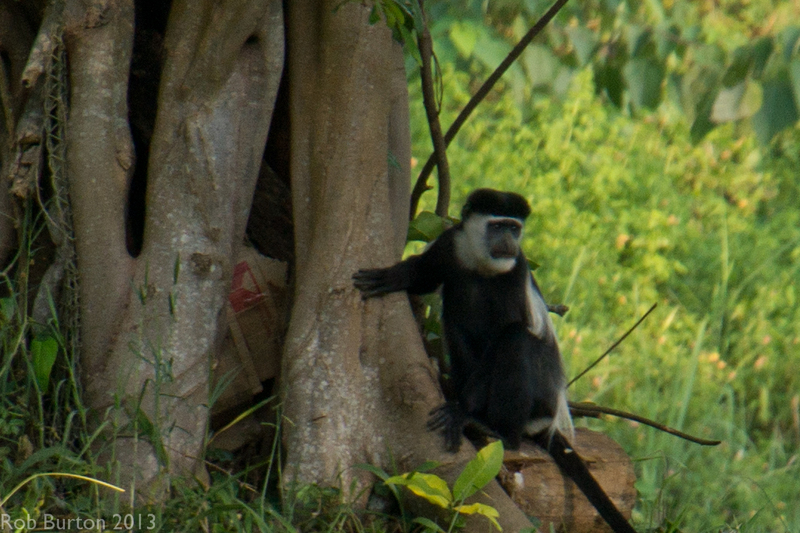 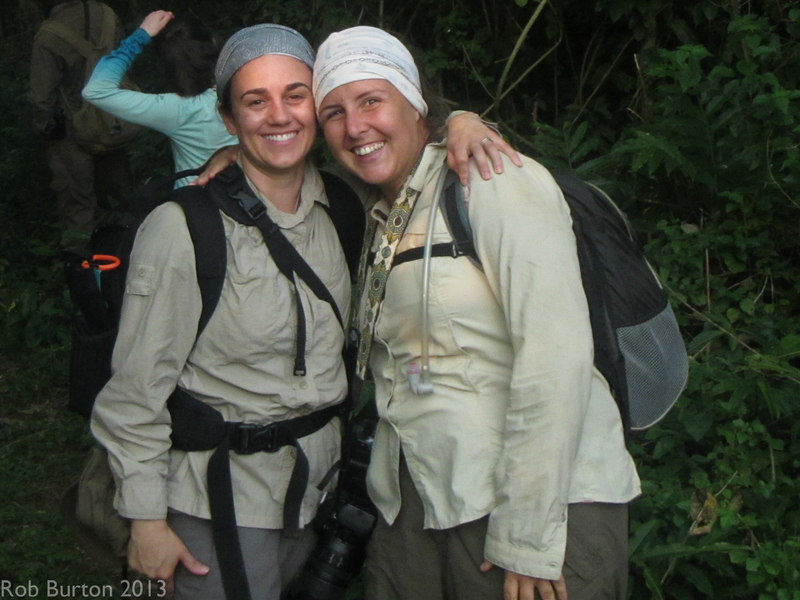 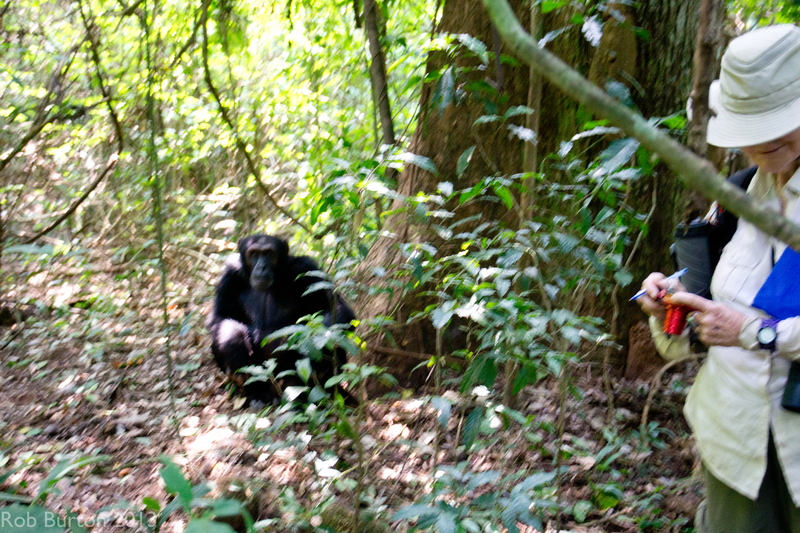 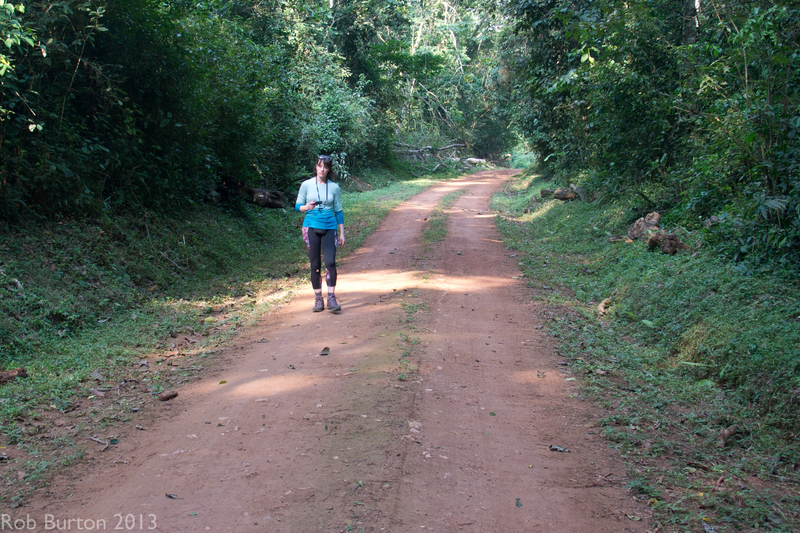 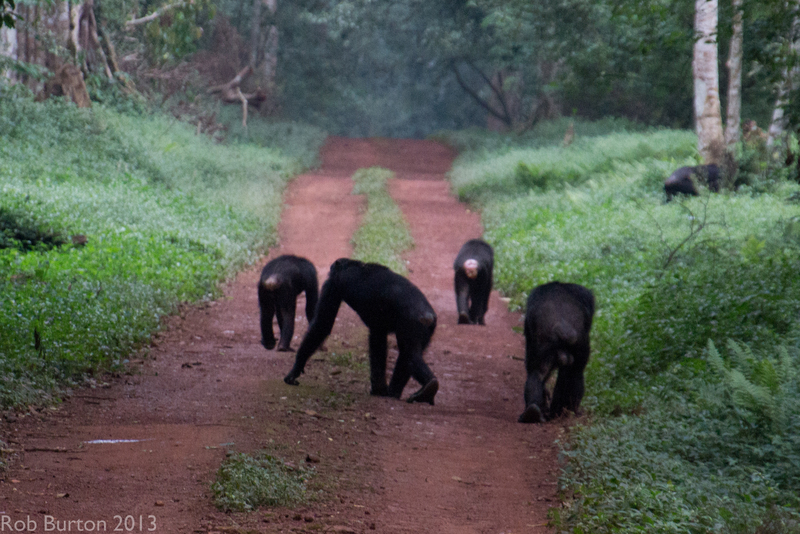 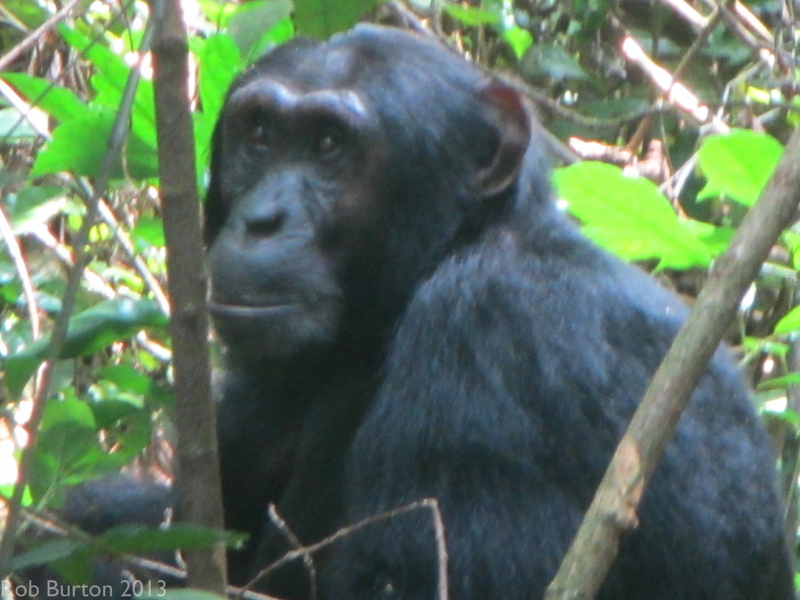 A great and busy time spent in the open air with the wildlife of Uganda.